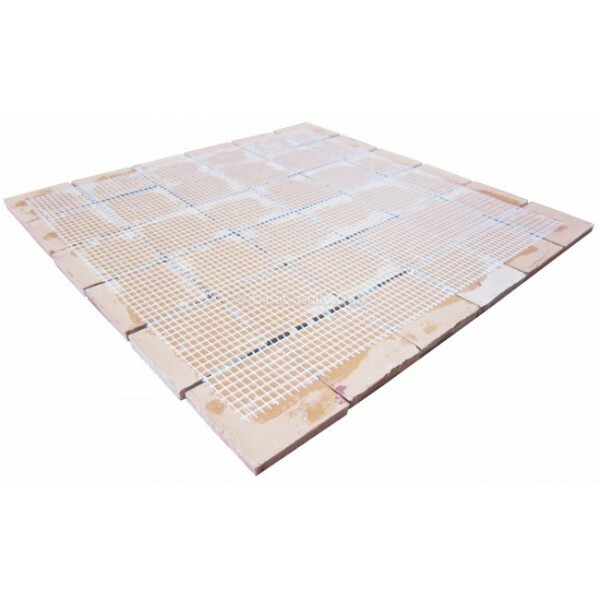 Our Frost Proof tiles are excellent for outdoors and freezing conditions: pools, gardens, etc. They have an extra red body bisque layer and are twice as thick, more ceramic like with square lines and flat surface. 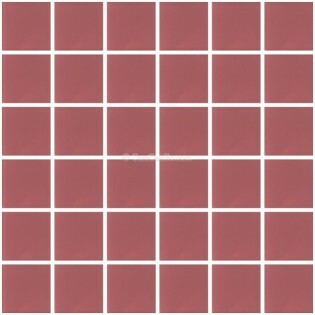 Pink color, in a mesh of 12"x12" with 36 tiles of 2x2" on each. $39.99 each mesh. Our Talavera tiles are one of our most lovable arts in our catalog, from Australia to Canada, we are glad they are reaching far lands and making someone's home a bit more "Feliz". 12"x12" with 36 tiles of 2x2" on each. $39.99 each mesh. Note: If you have an specific size requirement we most likely can help, please contact us with your request. Material: Clay pottery ceramic hand painted with lead free paint, hard glazed at high temp ovens following the tradition of Talavera process. 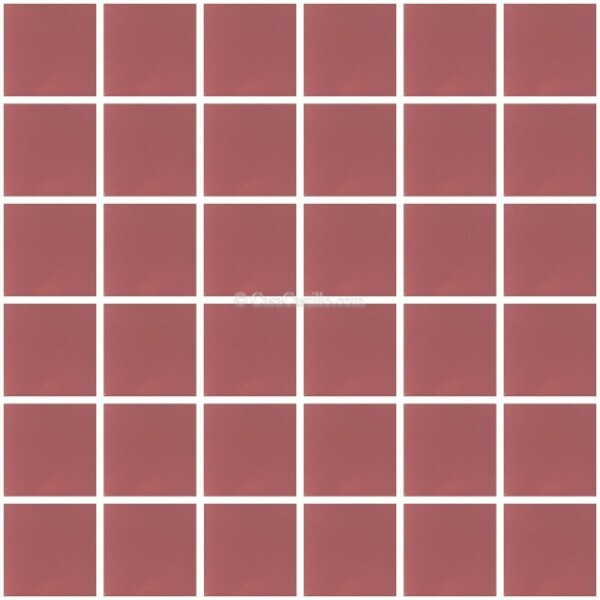 Our frost proof tiles have an additional layer of a red body bisque and double thickness, making them frost proof and of longer durability. If you want a tile for your outdoors in frozen temps and that will last for generations, choose our superior tiles. Note: Due to different monitor color resolutions what you see may differ a bit for what you get. If you need a better color match, or want to make sure you get what you need, please contact us. We can arrange for samples or other ways to help you. Finding the best talavera tiles Artisans in Mexico is not an easy job, that's why I'm glad to present you the top best. His quality, reliability, care for the environment and their employees is what you can count on. I've being working with Mr. Norberto Cortes for several years and together we are bringing these wonderful tiles to the rest of the world. Mr. Cortes specializes in the high relief tiles,ceramic and frost-proof tiles. Mr. Cortes reputation of excellent quality and durable tiles is widely known. His work has being recognized with several awards as: "Arch of Europe Gold Star for Quality" and the Brazilian "Medalha de Ouro".s. He specializes in the superior frost-proof and High relief tiles. 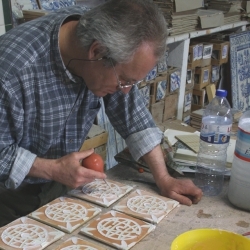 "The legacy of deep spanish roots and moorish style blend whith natural talent and colour-acuteness in Mexican Crafsmanship, are ever-present attribute in our Talavera Tiles. We manufacture the finest glazed titles for creating finishing details of a unique beauty in any building project. The formula for reaching and maintaining this category consists in using only the best local and imported raw-materials, plus and correct manufacturing process combined whith the natural skills of our craftsmen. 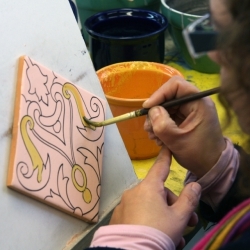 The Manufacturing excelence in Azulejos Talavera Cortés® is a shining example of World Class Craftsmanship." I'm fortunate to have met Mr. Cortes as I'm sure you will when you receive your package a big whaooo awaits you. In the name of these two wonderful Artisans, their family and employees, thank you and enjoy a piece of Mexico in your place. - We use DHL, Fedex and EMS for better service and full tracking on line. - If you have a big order we can ship by truck or ocean freight, for a cheaper option for your high quantity order ( usually 500 tiles or more). Please contact us to request a shipping quote for this option. How do I install my Mexican Tiles? Talavera Mexican tiles are installed very much as any other ceramic tile, however due to the handcrafted process the look will be more rustic and less perfect, but this is the real beauty of it, you get a very unique decoration nobody else would have. How do I clean my Mexican Tiles? Taking care of your talavera tiles is simple, just use a MILD cleanser and water, you will notice they get easily clean. Don't use abrasive cleansers or bleachers they will eventually damage your tile glaze finish.